I’ve been wanting to try solo travelling but I find no courage to have this done. Until recently, when I say to myself: “WTF, just try it. Invite some, if no one wants to come with you, then you are destined to travel solo this time”. And then it began. I decided to visit this so-called Thailand look alike place in Laguna. But to maximise my so-little time, I asked for suggestions to places near this floating restaurant. 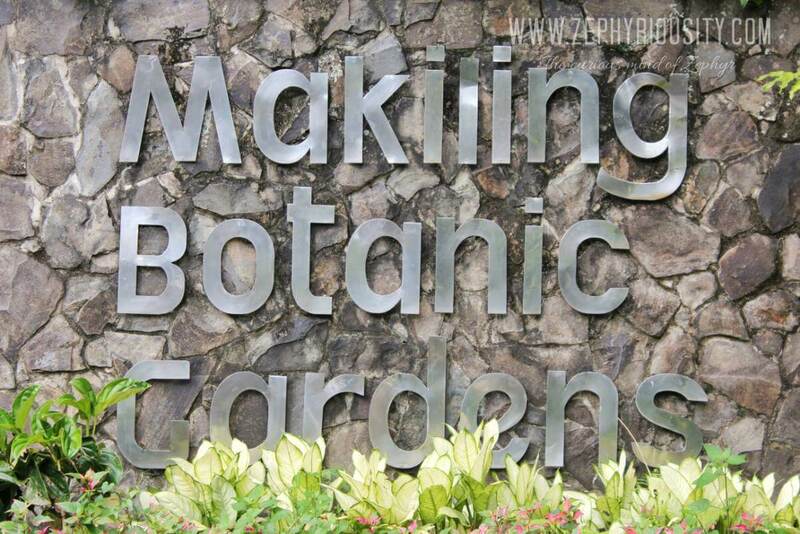 Then, a friend, named Fulgencio recommended the Makiling Botanic Gardens. If you know the song Magkaibigan o Magka-ibigan by COELI ft. Miguel Guico, you will instantly know how beautiful this place is. So to prove it myself, I added this on my solo trip. Makiling Botanic Gardens, or previously known as Makiling Botanical Garden is situated at the College of Forestry and Natural Resources, UPLB Campus, Los Baños, Laguna. This is an hour and a half drive away from Manila (depending on traffic). Ask the driver to drop you off at College – this is in front of Olivarez Plaza. Ride a Jeepney: UPLB – Forestry and pay P7.00. I waited for about 15 minutes, when no jeepney going to Forestry arrived, I rode a jeepney going to UPLB – Kaliwa and asked the driver to drop me off where I could find a jeepney going to Forestry. Whew! After that. The driver will drop you off at the College of Forestry, you need to walk a little to get to MBG proper. You will have to pay a P20.00 entrance fee and answer quite some questions from the man behind the counter such as “Bakit mag-isa ka lang?” or “Taga saan ka ba?”. Then expect that he will say: “hindi ba malungkot mag-isa” or “ang layo pala ng pinanggalingan mo” which I found amusing. There are plenty of trees, flowers, butterflies, insects and educational plants to study and enjoy in this place. everything has a sign. You can bring food and eat inside the garden as they have a picnic place. I have to admit, i had an awesome visit to Makiling Botanic Gardens though its gloomy. It seemed that the rain wants to pour at any moment. Thank goodness it didn’t. It felt so good to smell fresh air. To wander alone in a place that you’ve never been to. To sit in the middle of a forest. To take photos of a clean creek. To walk in a trail all by yourself. Everything seems so peaceful at the moment. Its all about YOU and the nature. If you don’t feel safe in wandering alone in a forest, or any nature-like location, don’t go alone. You can be lost, even when there’s a map. There are people/authorities that you may ask to become your guide. Leave No Trace – keep your trash to yourself, or throw them on the garbage cans. Enjoy! This is something that Manila can’t offer us. Fresh aiiiiir! Lastly, beware of the traffic.